Yet another blur of a weekend over, one step closer to Spring. If only the seemingly endless rain would, well, end. 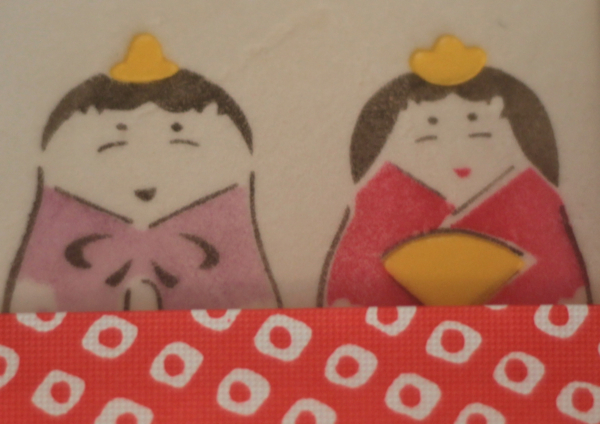 Saturday (March 3rd) was Hina Matsuri, or Doll’s Festival, aka Girl’s Day (sadly not a national holiday, unlike Boy’s Day/Children’s Festival on May 5th) in Japan. 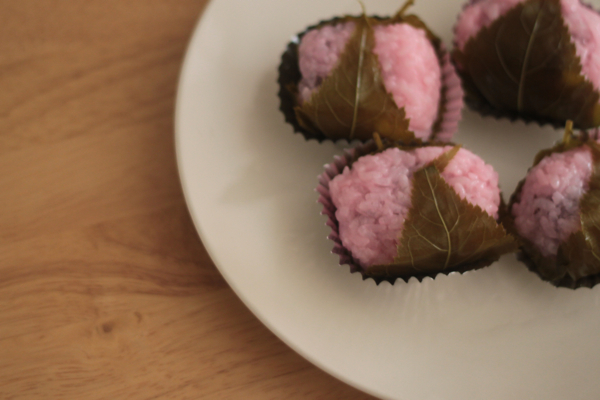 Not having a set of hina dolls for our own small girl, the least we could do was partake in some of the edible traditions, and hina matusri is, in the words of my elderly neighbour (more on her in a bit) an “oishii matsuri”. Chirashizushi (scattered sushi) and clam soup are traditional, but we stayed on the sweeter (and more ready made) end of things. Tempted though I was by some locally produced amazake, a sweet, non-alcoholic fermented rice drink, I wasn’t convinced the three of us would make it through the bottle, and so settled instead on some sakura mochi. 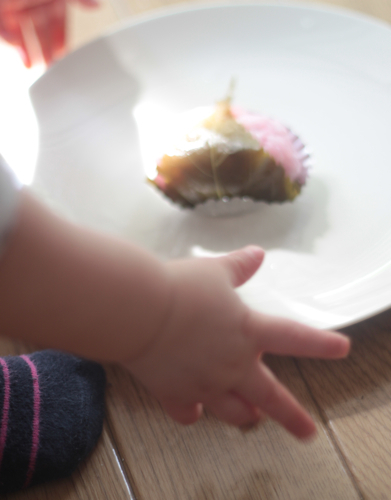 Red bean paste inside sticky rice, wrapped in a salted cherry leaf, I was expecting a reaction of decided indifference from the toddler. 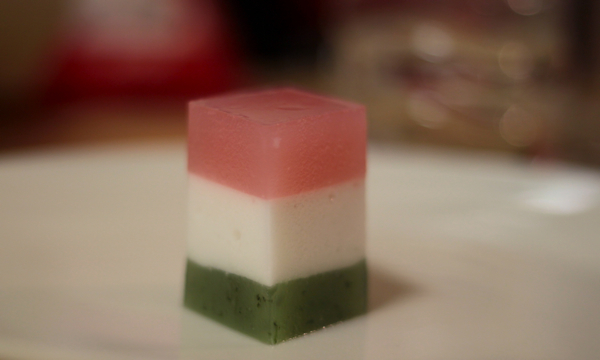 She surprised me though, by seeming to quite enjoy it (the bean paste and rice parts anyway, the cherry leaf was roundly rejected, and honestly, I’m with her on that one.). 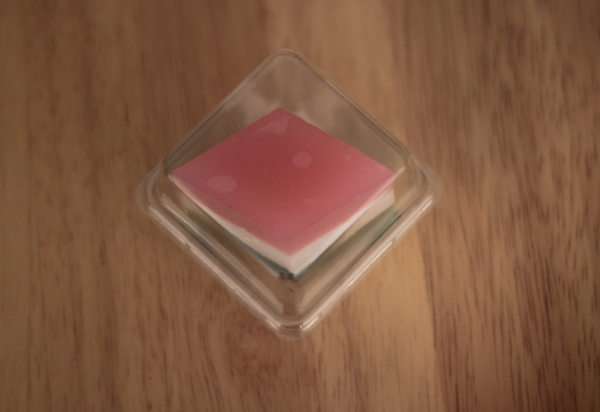 Home from buying wagashi (and other, more prosaic foodstuffs*) we bumped into our neighbour, who apologised for not having seen us for a while, explaining that she had been having her ‘winter sleep’, and presented us with a box of hina matsuri sweets. 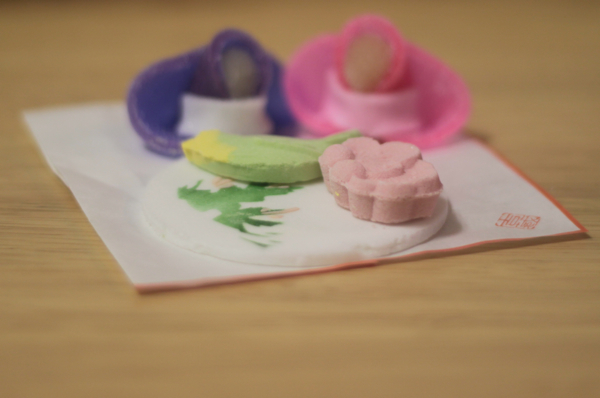 Inside were hishi mochi – diamond shaped mochi in layers pink, white and green, reminiscent of neapolitan icecream, sweet emperor-and-empress-adorned rice cakes, and brightly coloured, super sweet sugar birds and flowers. The toddler, unused to such free flowing sugar, inhaled a bird before clamouring for “more more”. Mean mama that I am, she was denied, and placated with a raisin muffin instead. *Including eggs, two of which broke when I dropped the bag they were in. Last week I did the same though, breaking six, so I’m counting this as a win. 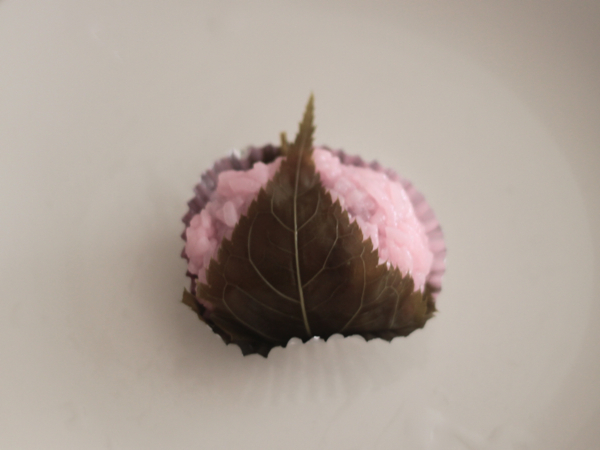 This entry was posted in Food and tagged food, girls day, hina matsuri, home, japan, Japanese festivals, Japanese traditions, life with the toddler, random kindness, sakura mochi, spring, sweets, wagashi. Bookmark the permalink.